To get the best out of the search engine please place terms within speach marks, ie "Joseph Marsh". Single words can just go in the box. This thing is not perfect so if you don't find what you are looking for, please email the webmaster before giving up. This monumental series of nine books by Bill Chorley are essential reference works for anyone researching Bomber Command losses during World War Two. 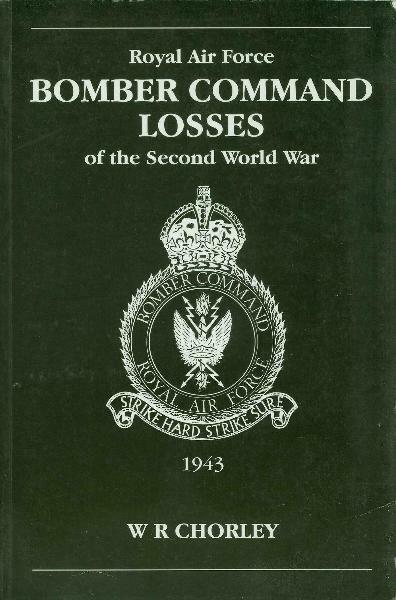 Each book covers a year of the war and contains details of every lost aircraft, the fate of the crew and details of how and where the aircraft was lost if available. There are a number of appendices including Group and Squadron losses together with lists of escapers and evaders, POWs and internees.